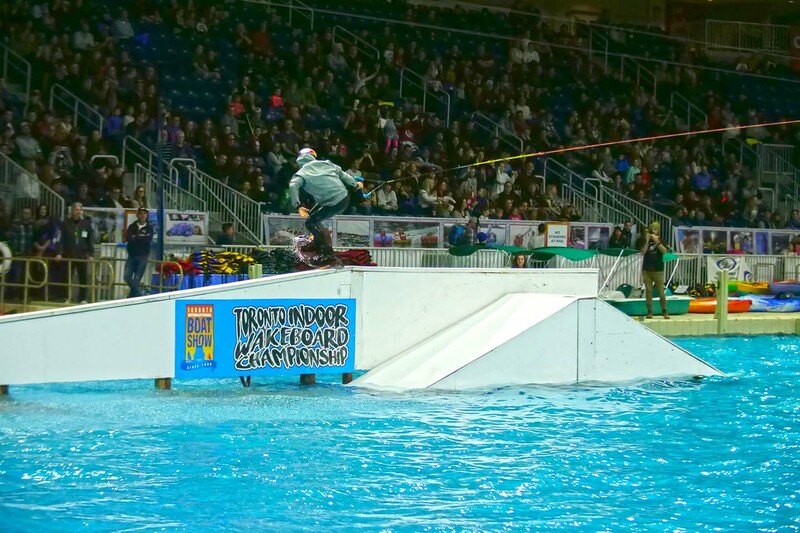 Show’s closing weekend: a pro indoor wake contest! 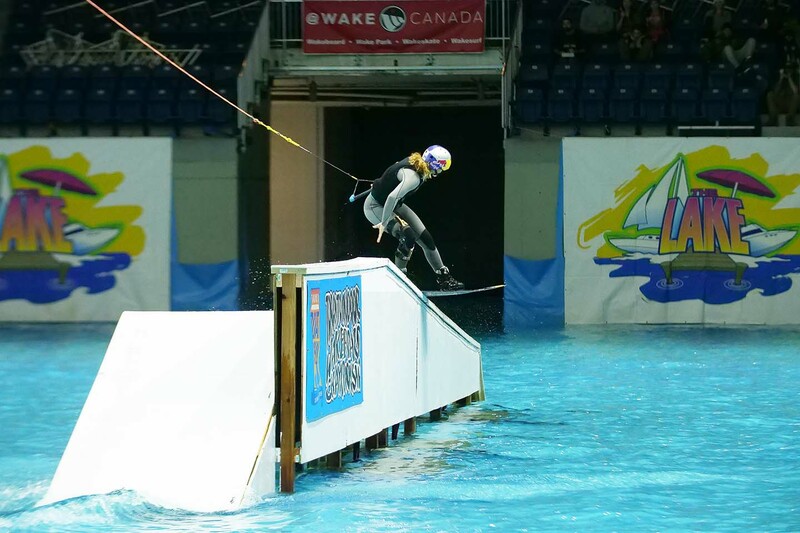 the indoor lake in conjunction with Canada’s Boarder Pass wake park crew. 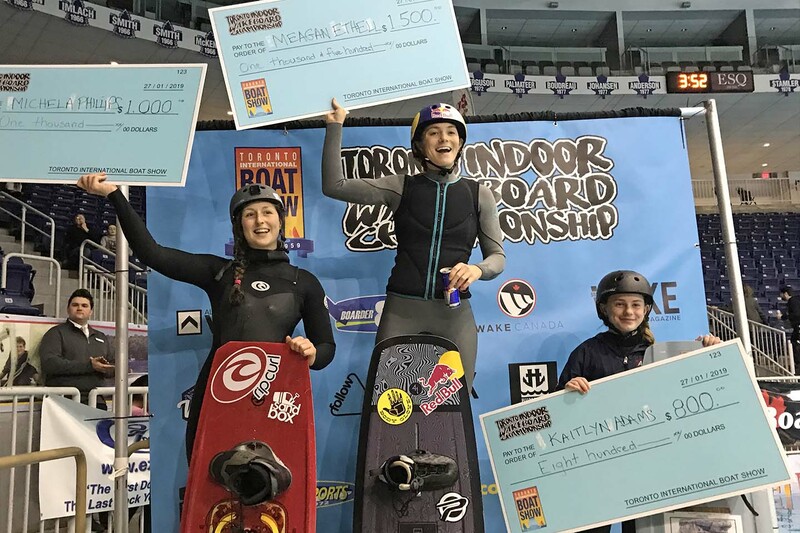 major contest for 2019 to further support wake sports! 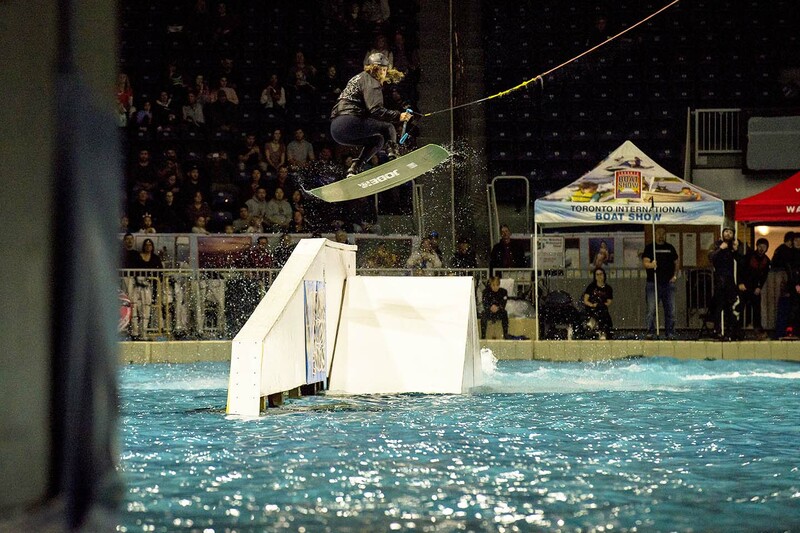 wakeboarding up close for their very first time! combined with big transfers and technical spins on and off! medical attention, but it was enough to nose out Guenther for the win! 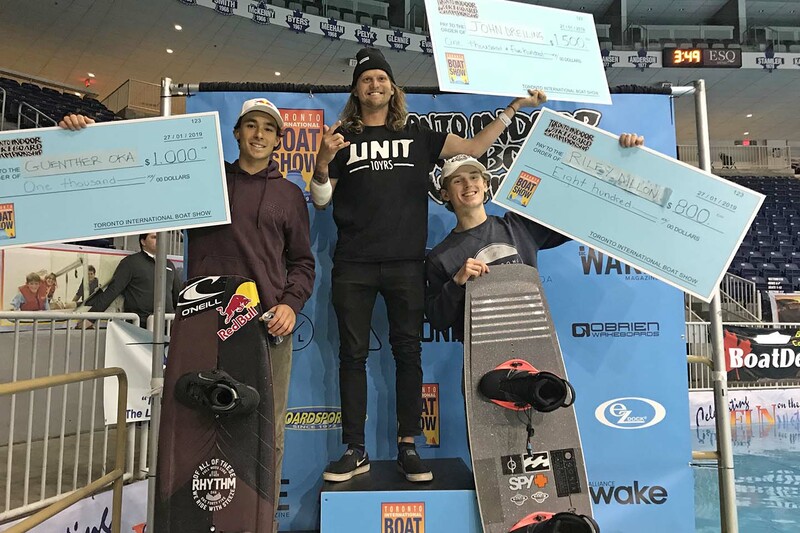 climb to the top of the podium and hoist his $1,500 winners cheque! 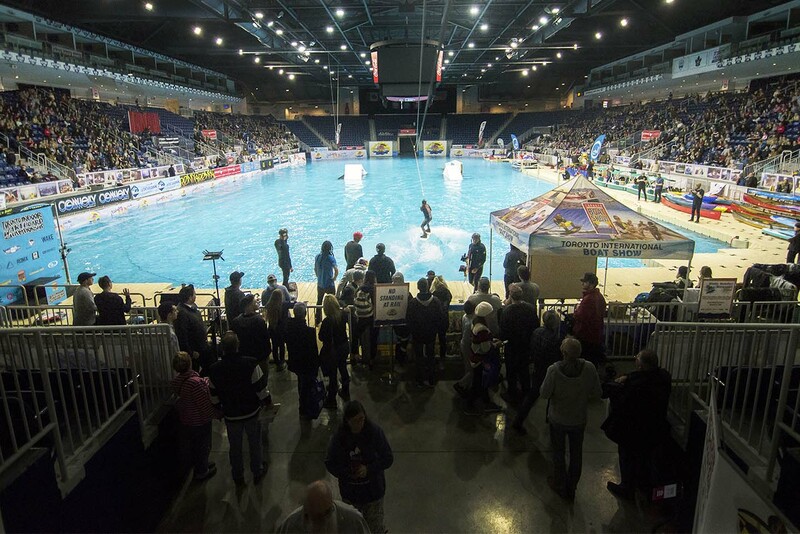 percolating on building on this year’s great event!